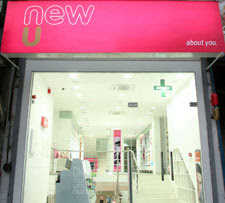 I'm very happy to see a health and beauty store, called New U (by Dabur) in Delhi and Gurgaon. I went with my friends from back home recently, and they went crazy at the store. The store offer most things-from make-up to skincare. I especially like the beauty tools and accessories, like bath stuff, false eyelashes, vanity bags and mani-pedi equipments. I've only been to the ones in Ambience Mall and Promenade Mall, but I think there are a lot of stores in other cities as well. Size-wise, the stores are not as big as Watsons and Boots, but I guess starting small is the way to go for any retail chain in this uncertain economy. There were these cute nail polish removers in pink, green and purple bottles which I really liked. Forgot the name of the brand. 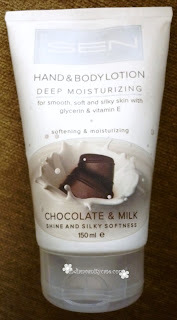 There are other products from this brand from Turkey that I'd love to try out like Strawberry & Milk Hand & Body Lotion. Check out their website here if you want to know more. I actually got the Glamour Lashes last December and tried wearing them on New Year's eve but they just didn't seem to stick to my eyes. I hope I have better luck with the Natural ones. 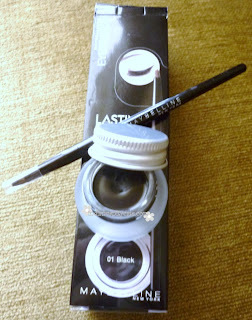 That was a simple, but cute haul..I too bought the Maybelline liner last week.. I have bought some St Ives stuff + another brand called Sheer Body from them. I havn't seen these stores here - then again I havn't really gone shopping in a long time. But they sound nice and i liked all the stuff that you got - esp the eyelashes!! The natural lashes look great! And I wish there were more stores like this in where I live. Aah.. all you girls doing so much of shopping.. shopping and then some more shopping..!!! waiting to step out in this May-June(hoping to). Have got such a big big list from reading all you lovely bloggers reviews and hauls. oh , even I visited this store a while back , in ambi mall ,it stocks a lot of QVS stuff and it even has a website !! This store is already in Bangalore? Welcome back love! =D I love the look of this store. So modern and chic! Looks like you came away with a nice haul. 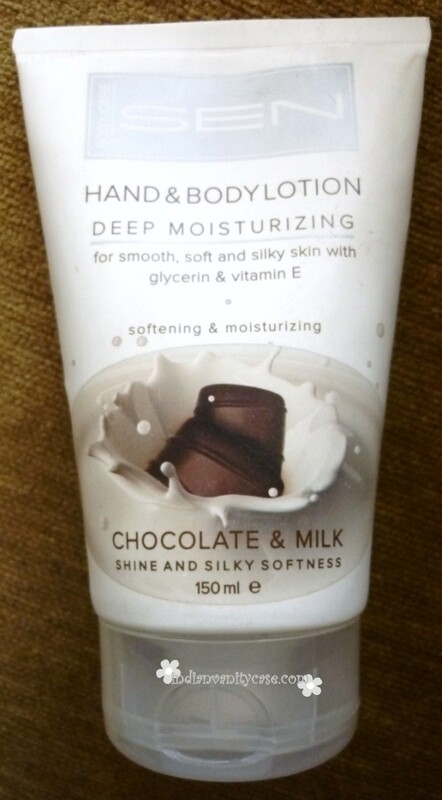 The chocolate and milk lotion sounds heavenly. Nice haul hun! 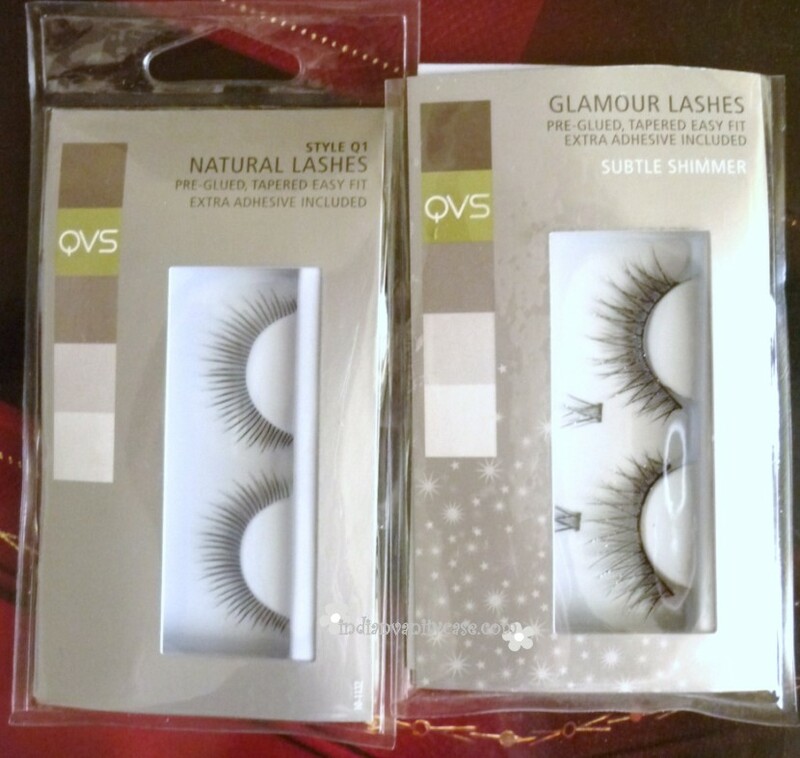 those lashes look lovely, QVS is a nice brand, they make good quality makeup tools at affordable prices. oh i wanted to mention this in my beauty blog. oh well! isn't this store just great! it stocks beauty formula's stuff too, i recommend you try them!